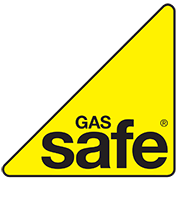 ALL Energy Services Ltd use F-Gas registered engineers. We work with a large range of customers in business and offer free design, specifications and pricing. We start by understanding your requirements and budget and will endeavour to exceed your expectation. We work with all the top manufacturers and suppliers and have been in business for 21 years this year. If you need advise or know your requirements and just want a price, Please call Gordon on 07786 33 33 11 for a straight forward chat and a way forward.